Hanger grips designed for easy installation & adjustment. 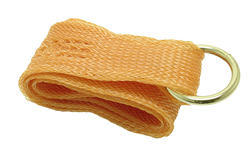 Provides support for the cable when hanging in vertical, sloped, or horizontal positions. They will protect the connectors and guide the bundle through the pulling environment. Strain Reliefs to extend the life of the junction between Cable and Chassis.